Service life estimation is an area of growing importance in civil engineering both for determining the remaining service life of civil engineering structures and for designing new structural systems with well-defined periods of functionality. Service life estimation and extension of civil engineering structures provides valuable information on the development and use of newer and more durable materials and methods of construction, as well as the development and use of new techniques of estimating service life. Part one discusses using fibre reinforced polymer (FRP) composites to extend the service-life of civil engineering structures. It considers the key issues in the use of FRP composites, examines the possibility of extending the service life of structurally deficient and deteriorating concrete structures and investigates the uncertainties of using FRP composites in the rehabilitation of civil engineering structures. 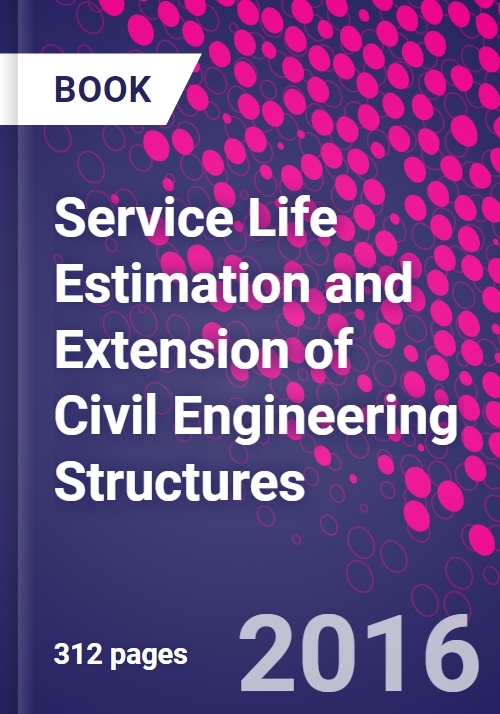 Part two discusses estimating the service life of civil engineering structures including modelling service life and maintenance strategies and probabilistic methods for service life estimation. It goes on to investigate non-destructive evaluation and testing (NDE/NDT) as well as databases and knowledge-based systems for service life estimation of rehabilitated civil structures and pipelines. With its distinguished editors and international team of contributors Service life estimation and extension of civil engineering structures is an invaluable resource to academics, civil engineers, construction companies, infrastructure providers and all those with an interest in improving the service life, safety and reliability of civil engineering structures. - Rehabilitation and service life estimation of bridge superstructures. - Pipeline rehabilitation systems for service-life extension.bilitation systems for service-life extension. Karbhari, Vistasp M. Vistasp M. Karbhari is President of the University of Texas at Arlington, USA. Professor Karbhari has an international reputation for his research on the use of composites in civil engineering. Lee, L S Professor Luke S. Lee is an Assistant Professor of Civil Engineering in the School of Engineering and Computer Science at the University of the Pacific, USA. He is well-known for his research on the rehabilitation of civil infrastructure using composite materials, structural health monitoring and service life estimation.